Within the US, border counties have twice the level of poverty and food insecurity as the national average. But how do we deal with the irony that some of these same counties harbor the highest levels of biodiversity anywhere in North America? In other words, they have an abundance of underutilized natural resources that may help lift residents out of poverty, if properly managed. Mesquite (Prosopis spp.) is one of them. A mesquite-based restoration economy may help keep in place those who do not wish to leave their homes to cross border and take refuge in cities for lack of other economic activities. Disparities in income and access to resources are already the triggers of social conflicts and immigration issues that clearly affect citizens in both affect Mexico and the United States, as well as political and climate refugees emigrating from other countries to this region. As such, many members of communities along the border feel they lack sufficient economic capital to resolve a range of economic and social problems. However, they also have under-utilized natural and social capital—such as mesquite trees and the local knowledge and skills to utilize them economically. And yet, as global temperatures continue to rise, as groundwater levels plummet, and as rivers and reservoirs dry up, social conflicts and poverty will inevitably worsen in the US/Mexico borderlands. How do we move toward a cohesive, binational plan with tangible solutions to alleviate these problems? We feel that a concerted effort to better utilize the many arid adaptation of mesquite trees can leverage new solutions. We need a collaborative initiative– involving communities, governments, foundations, impact investors and other stakeholders— that will heal our degraded landscapes, anticipate climatic changes, create new sources of food, fuel and fiber. How can we do so in a manner that generates a truly restorative economy? Such an economy based in biocultural restoration can provide residents on both sides of the international boundary with jobs that offer them dignity, live-able wages, and safe, healthy working conditions. Many have called for “disruptive innovations” with the potential to restore the integrity and productivity of both our landscapes and our communities in ways that heal deep historic wounds. And yet, what innovation or technology will enhance rather than deplete the natural and cultural capital of our region? Mesquite and its microbial allies have served as one such “bio-technology” in the region for over 8000 years, generating fermented beverages and foods, shelter and habitable environments. We believe that more knowledge transfer, use and innovative management of mesquite and its many products could generate multiple revenue stream without depleting key natural resources. There is scientific consensus that mesquites are “under-managed” on nearly 200 million acres of arid and semi-arid lands in Mexico and the US. Can targeted investments change that dynamic? Yes, we believe they can, because mesquite resources can become —dollar for dollar and peso for peso—the most cost-effective natural and cultural resource investment ever made in the future of arid America. Such an investment cannot come too soon, because our metro areas are suffering from urban heat island effects on top of global climatic changes. How exactly will such exacerbated heat conditions affect us? The degraded watersheds and foodsheds surrounding those who work outdoors in our cities make them increasingly vulnerable to fires, floods, heat stroke, heat exhaustion, thirst and lost work time. The best predictions of what vegetation changes will occur in the borderlands over the next century suggest that mesquite woodlands will become more extensive and dense. But does that suggest that they could also become more economically important? Yes, provided that their habitats are properly restored managed and managed, for two of the three species of mesquites will increase their rates of woody growth, pod production and carbon sequestration. Mesquite root systems can fix nitrogen and sequester carbon more effectively than most arid-adapted trees and shrubs. But is the shade and forage they provide for wildlife and livestock on rangelands truly significant? Yes, it is, and at the same time, mesquites can provide much-needed shade and foodstuffs for metro residents dwelling in urban heat islands. Most ranchers of cattle, bison, goats and sheep already acknowledge that mesquite foliage and pods provide forage essential to the survival of their herds and flocks. Why don’t more ranchers acknowledge that mesquite is likely their best and most cost efficient livestock feed on Western rangelands below 5000 feet from April to late June? We need to encourage them to use “mesquite-and-perennial-grass banks” during particularly critical times when prolonged droughts make all annual forages scarce. Such scarcity will become more severe and frequent as climate change accelerates. In fact, many stockmen have already begun to manage their ranches for wildlife as well as for livestock. Is it a stretch for them to also manage their land for mesquite honey and fuelwood production as well? Not at all. Most ranchers would readily welcome public investment that would help them generate multiple revenue streams (from food, fuel, wood, hunting, hiking and birding) to gain more income from their mesquite resources. Such intensive land management requires a stable rural labor force, one that northern Mexico and the US have largely lost since the signing of NAFTA in 1992. But how do we now grapple with recent changes in immigration and trade policies that have further reduced and debilitated the transboundary work force? For starters, we promote training and other benefits for those who wish to participate in a well-managed guest worker program that complements rather than competes with the working citizens already living in the region. We advocate for an expanded guest worker program that guarantees Mexican citizens wishing to work as professionals in the US greater legal safety, health benefits, job training and upward mobility. But haven’t such programs historically focused on harvesters of agricultural crops, not on managers, harvesters and processors of wild trees? Not exactly. Guest worker programs have always included opportunities for ranch hands, woodcutters and artisans in rural communities as well. We propose greater public and private investment in infrastructure to harvest, mill, dry, store and elaborate value-added products from both mesquite wood and edible mesquite pods. Shouldn’t such investments be made principally in counties and municipios stretching along the border where mesquite is abundant but other jobs have been lost? Absolutely. They should particularly focus on those Native American communities that have long-standing familiarity and traditional ecological knowledge of mesquite resources. We also propose the establishment of capacity-building centers in every watershed crossing the border. Could these centers easily provide bilingual rather than English-only training in a variety of skills related arid lands agro-forestry and non-timer forest product development? 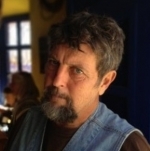 Definitely, for there are many bilingual teachers and trainers who already have the capacity to mentor others in range management, ecological restoration, permaculture, hardwood craftsmanship and furniture making, honeybee management, mesquite pod milling, brewing and baking, and the marketing of non-timber forest products. Setting aside the enormous value—in terms of carbon bonds and ecological sustainability—of atmospheric carbon sequestration that results from proper forest management, a $200-400 million US dollar/year “mesquite barbecue” industry now uses trees harvested from rangelands in the US Southwest. But is the market saturated if this industry already provides firewood, briquettes and chunk charcoal to over 8000 barbecue restaurants and other outlets located in all 50 American states? Not necessarily. As other woody trees are impacted by climate change, mesquite’s proportion of the market is predicted to grow. Nonetheless, the retail value of custom-designed mesquite furniture, flooring, paneling, musical instruments and fencing for larger pieces of wood is many times more than that of the same wood burned as charcoal or kindling. How do we encourage more woodcutters into selecting and sustainably harvesting their mesquite for higher value markets? They need informed that carefully dried, straight mesquite lumber will soon be selling for $5-10 US dollars per board foot, and to be put in touch with those eager to purchase such hardwoods. Some mesquite continues to be clear-cut and killed, while most trees retain some re=sprouting capacity that generates multi-stemmed trees with lower-value wood. How do we change that dynamic? As with any other forestry resource, we need to explicitly train harvesters in the selection, coppicing and pruning practices needed to shift the industry toward better uses to prime pieces of lumber for their elaboration of value-added products. There is already expanding use of mesquite pod flour in baking, in brewing and in the elaboration of low- glycemic (anti-diabetic) food products. But how do ensure that demand for mesquite flour—which is currently sold for $22-24 US dollar/pound—continue to expand beyond niche markets on both sides of the border? We need to better promote the food safety, unique nutritional qualities and flavors of the dozens of new foods and beverages that are trying to get a foothold in the global marketplace for so-called “super foods” or nutriceuticals. Nevertheless, harvesting and processing of mesquite pods remains time-intensive and costly. How do we encourage agricultural engineers to develop more scale-appropriate milling equipment, cold storage protocols for mesquite flour, and rapid food safety monitoring techniques needed today? What natural resources can mitigate and adapt to rather than becoming devastated by climate changes? We need to lobby the deans and department chairs of agricultural land grant universities to think of mesquite as something other than a rangeland nuisance, and earmark funds for mesquite research and development positions in several disciplines. Mesquite honey is already a multi-million dollar industry in most states along the border. But what has the arrival of Africanized honeybees and the greater frequency of severe droughts done to create problems for beekeepers? Over the last two decades, beekeepers have found ways to competently manage and tame “hybridized Africanized” bees and to utilize their skills as efficient foragers and producers of honey. We need to revisit local laws that ban the keeping of bees in urban areas and near rural schools. Honeybees are not the only pollinating insects attracted to mesquite flowers. Dense clusters of mesquite trees nourish as many as seventy-five species of native bees in any rural landscapes. Especially important are the gnat-sized native bee genus Perdita with about 600 species in the U.S. Mexico borderlands. These, along with Centris, Megachile and other native bees, as well as wasps, are efficient pollinators of mesquite flowers. In fact, mesquite inflorescences are a resource magnet for many insects including beetles, butterflies, wasps and flies. Are any economic incentives for planting mesquites windbreaks and “pollinator-attracting” hedgerows on farms and orchards in the border-states? Yes there are, through both governmental agencies and philanthropic foundations. We need to help farmers and ranchers apply for such funding, and measure the return-on-investment from mesquite plantings. Biofuels, biochar, gums, propolis, meads, distillates, nutraceuticals and medicinal products are derived from mesquites. So how do we keep the economic potential and sustainability of such products from being under-explored and scarcely valued by today’s impact investors? We need to bring mesquite’s promise into discussion with the growing number of wealthy young entrepreneurs involved in “slow money” strategies to enhance environmental stability and solve border poverty issues while producing healthy foods for the marketplace. In short, there are many economic uses and intangible values provided by mesquite and the nurse plant guilds they shape. We therefore urge regional planners, natural resource agencies and investors to assess comprehensively the societal value of the many “ecosystem services” that mesquite habitats provide. These nature’s services include wildlife habitat for beneficial insects, birds and bats involved in pollination and pest control; flood control; heat amelioration in urban settings; and recreational pursuits such as birdwatching and the hunting of gamebirds like quail and doves. It is time to make significant investments in holistically managing, conserving or restoring or reconfiguring extensive corridors of mesquite habitats. 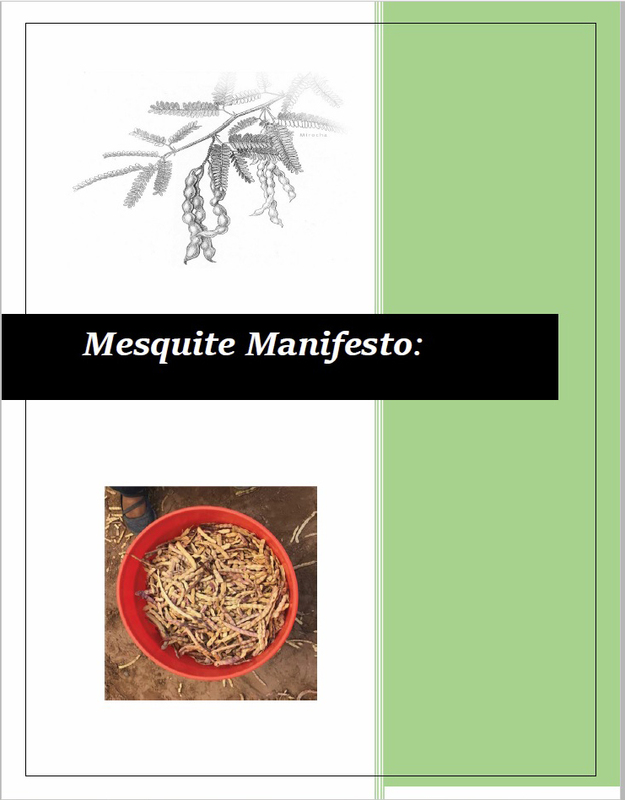 The level of investment should become commensurate with the overall economic value of mesquite. We call for an All-Border States Congress on Mesquite to reach consensus on a shared vision and action plan to lay out the next steps for re-valuing mesquites and their habitats. First published 2019 by Southwest Center, University of Arizona, Tucson AZ.